Pick up your pen and get writing again. 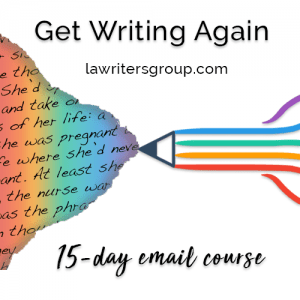 Our Get Writing Again workshop is an email-based course that sends you a daily creative writing prompt to get you back into the habit of writing. The prompts vary from helping you explore why you haven’t been writing, to learning new techniques, to having more creative fun with your writer’s notebook. Additionally, you get a prompt every day to help you take actionable steps to establish a sustainable daily writing practice. I designed the Get Writing Again online workshop with self-examination and creativity in mind, to help writers re-establish creative play in their writer’s notebooks. As a Coach for Writers who has helped many writers complete their first drafts, I’ve come up with methods and prompts that help writers discover why they haven’t been writing so they can look at themselves honestly and thereby unblock the path to moving toward a daily writing habit. Help you find inspiration and source material. 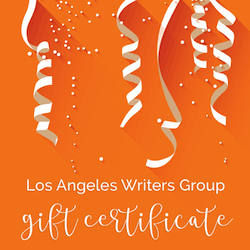 Get a free PDF of the entire Get Writing Again program on the last day. 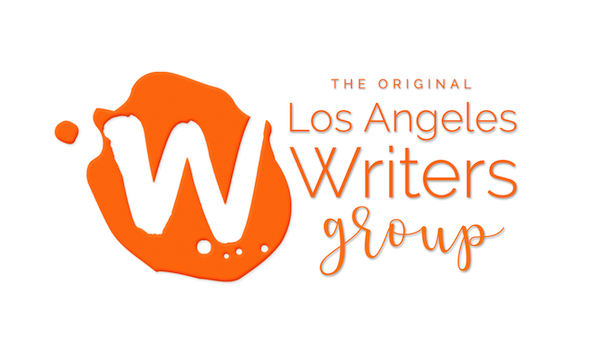 Everyone who signs up for the writing challenge gets a free 30-minute coaching session via phone or online video conference. No selling, no obligation, just a 30-minute coaching session all about you. Anyone who wants to establish or reestablish a daily writing practice, regardless of writing experience. Or anyone who wants to make more room for creativity. Are you Ready to Get Writing Again?